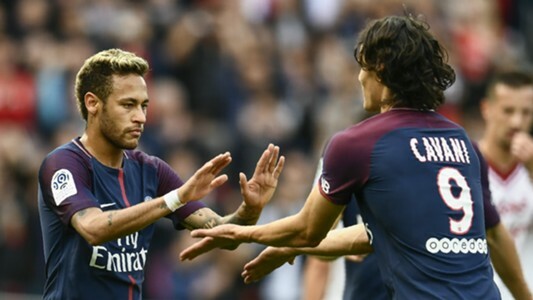 Edinson Cavani has claimed that he does not have to be friends with Neymar for the duo to perform well in tandem with each other at Paris Saint-Germain. There were murmurs of discontent between the team-mates at the start of the season, with the pair having clashed on the pitch over the taking of a penalty during a game against Lyon. There was also a disagreement over a free-kick during the same match, with Dani Alves refusing to give the ball to Cavani to take the set-piece, handing it to Neymar instead. The Uruguayan striker insists those issues are in the past but says that he does not need to be friends with his team-mate for them both to deliver in a PSG shirt. Speaking ahead of the Ligue 1 side’s Champions League meeting with Anderlecht, Cavani told SFR Sport: “The penalty case, that’s in the past. These are things that happen in football.